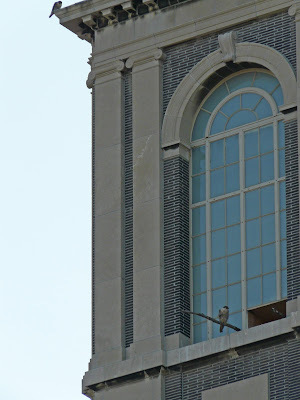 BB was very alert late this afternoon while perched on the tower. We ID'd her bands even though they may not show well in the pix. After a while, Smoky flew in to a high corner of the tower and once he was there, BB seemed to relax and her head rested lower.